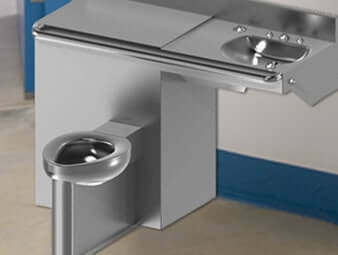 The older models were deemed ADA-noncompliant because of an open area between the toilet side cabinet and adjacent side wall. We developed the 1449/1449FA Series to address this concern. The new models fully comply with ADA and Ontario Building Code (OBC) requirements. We are excited for this model replacement as we maintain our efforts to comply with all codes and requirements.